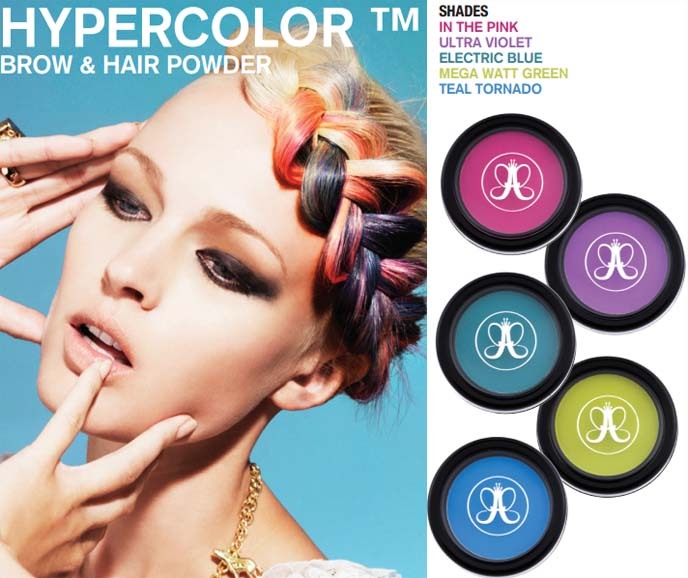 Win Hypercolor Dip-Dye: temporary neon hair color & brow powder. 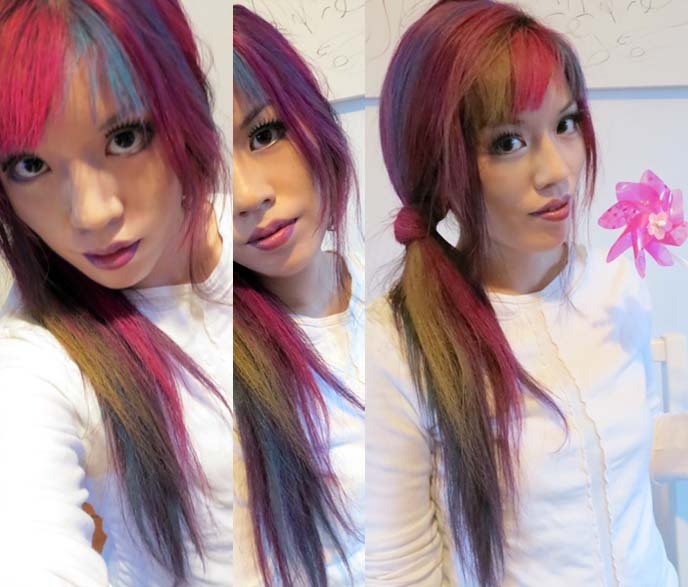 Rainbow pink, purple, blue ombre hairstyle! 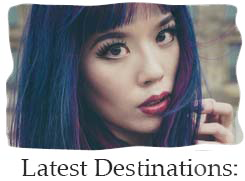 Riddle me this: I now have blue hair, as you can see in these photos! But I didn’t dye my locks, or use a mascara wand. So how did I achieve this striking hairstyle? With a brilliant new invention: Hypercolor brow and hair color. 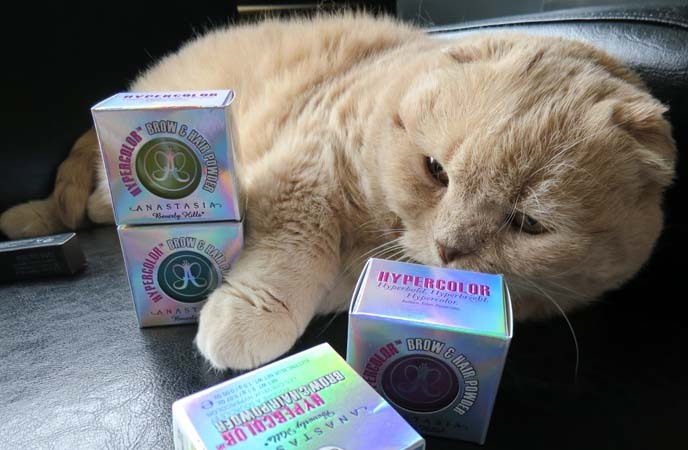 … and give away TEN full sets of Hypercolor brow and hair colors. Keep reading for the contest details and how to enter — details below! If you wish to dye your hair in rainbow hues, but can’t because of school or work, this is a lifesaver. 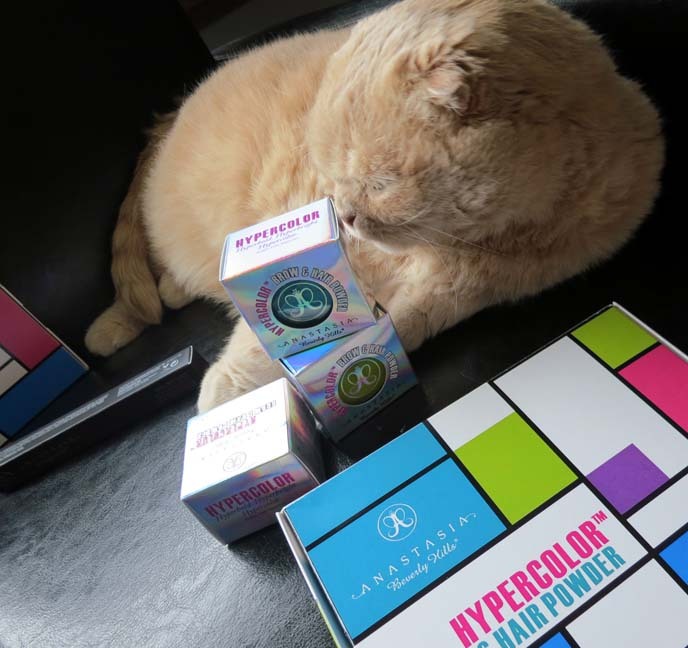 Anastasia’s Hypercolor Dip-Dye lets you have bright streaks for a day, and then wash them right out. You can play around with different shades and ombre effects, to match any outfit. Hypercolor comes in pink, purple, teal, blue, and green. How does it work? Condition and dry your hair. Wear gloves, and put a towel over your shoulders. Choose a strand. Sandwich it between the compact powder, and a sponge or cotton pad. Glide the compact across, for a bright streak of color. Repeat as desired, set with hairspray, and you’re done in minutes! For the first time, I had multi-color hair. You can use the product on your eyebrows as well. Everything washes out easily in the shower. 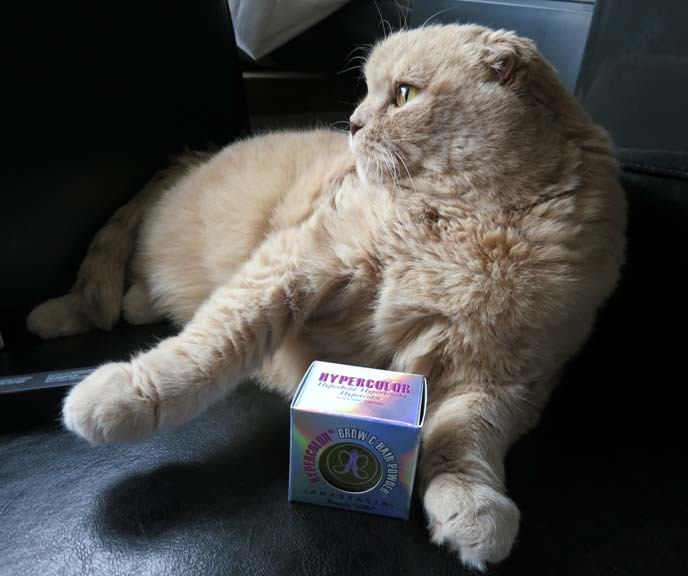 Just be sure to set newspapers on the floor, and clean up any powder spillage — or else your cat might have green feet! The product stayed on all day, and I loved the effect. Hypercolor is much better than temporary “color wands” I’ve tried in the past, which are sticky, uneven and don’t provide good coverage. Would you like to try it out yourself? 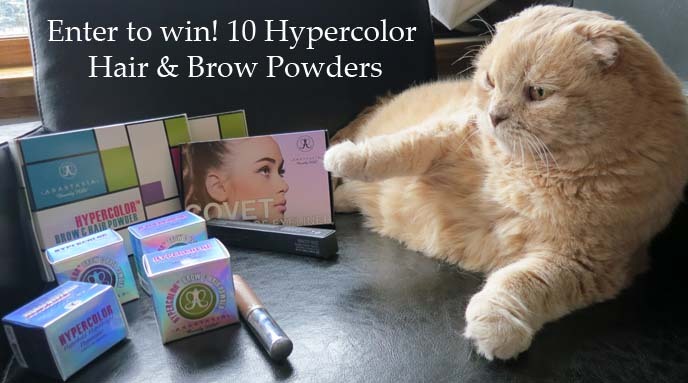 Enter my contest to win one of TEN sets of Hypercolor Hair & Brow Powder (5 colors per package!). You can enter up to 3 times. *** Then leave a comment in this post, or on my Facebook, telling me what you did to enter this contest. Giveaway open to USA and Canada residents only, and ends Dec 11, 2012 at midnight pacific time. Winners chosen randomly. Anastasia will deliver prizes. 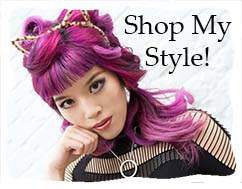 Teal octopus babydoll dress: gifted by Sourpuss Clothing — get the exact same dress here. 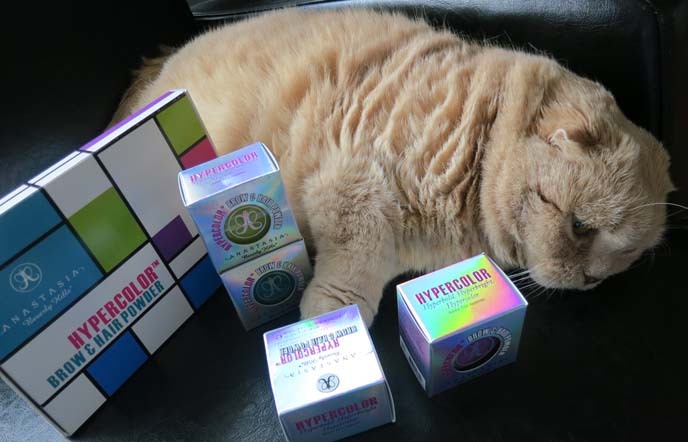 Hypercolor Hair & Brow Powder launches December 26 in all ULTA stores, and is available on their website 1-2 weeks earlier. It will also be available on Anastasia’s site. Have you tried temporary hair colors before? Which of these shades would you rock? Take a minute to enter the contest and tell your friends. You can all go out together with neon hairdos! Followed all three! The blue in your hair looks absolutely amazing. If I don’t win I might just ask for some ULTA gift cards for X-mas so I can go get some XD They look so fun. I’m following on Twitter & FB. That blue ombre is just gorgeous! My hair won’t hold blue dyes anymore, perhaps this is what I need! Liked on facebook and followed on Twitter! These look great and its awesome to see they work on dark hair colours too! I’m following Anastasia on twitter now @AnastasiaSoare and liking her on facebook, thanks to you! I am following Anastasia on Twitter! Thank you for doing a giveaway! 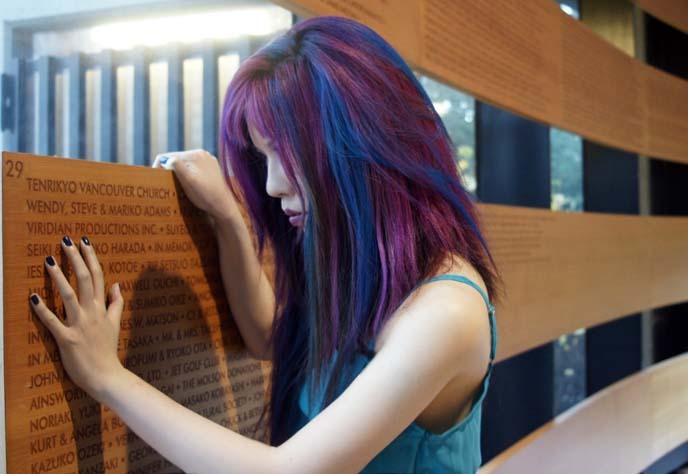 And if my promotion goes through, it would be great way, to still have colour in my hair. I am following on Twitter~! Those colors look awesome! You Basil, you are so cute! i liked your fb page and Anastasia’s fb page–im a natural redhead but have always wanted to try out different colors -thx for the drawing! Liked and followed! This product looks fantastic! Followed them on Instagram! This product looks amazing! Added on Instagram, Facebook and Twitter! Wow these look fantastic for wash out hair color. Sometimes I can’t even achieve those colors in semi permanent dyes! Love the blue and purple combination. I love the streaktacular rainbow look especially with the octopus dress. These would be a great way to test out die jobs for a more permanent look, too! Followed Anastasia on Twitter and am looking forward to more eyebrow tips from her. And folded ears, too!! So kawaii!! Liked Facebook and followed on Twitter! 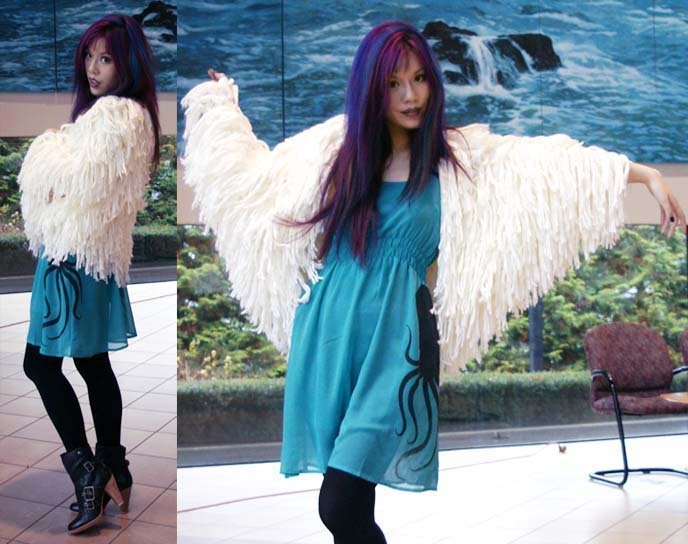 These are so cool :) I have blue hair right now but it’s so hard to maintain. These would be ama-za-zing! Followed on Twitter~! It would be nice not to have to dye/bleach my hair every time I have an interview since neon hair is not appropriate in the education field >< Having these would be awesome!! Liked Anastasia & Followed on Twitter c: I’ve always wanted a touch of blue to my hair, this would be lovely. Following Anastasia on Twitter and retweeted the contest post! I think this product is a wonderful idea and would love to try it. Oh man, I really want to win this. I am constantly putting blue hair clips in my hair when not working. I followed Anastasia on Twitter and Instagram and liked on facebook. OMG! I followed on instagram and twitter! I used to color my hair all different colors but recently had to change it to black to give it a rest and a chance to grow out! I would loooveee to have these to change it up without dying my hair!!! Liked Anastasia on Facebook. This looks like a great product. Followed on Twitter, and liked on FB! I did all three! Love colored hair and would love to experiment more. I love the product sooo much!! My daughter would love to use this in her hair since she tries to be a little fashion queen:) I liked! Beautiful!!! I so wanna try these! 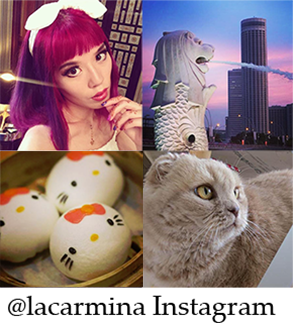 Liked, followed (instagram- killersweetpea), and followed (twitter- @kymeto)! Liked! I’d love to try the purple one! Sweet colors! Followed Anastasia on Twitter. I liked Anastasia on Facebook! I followed Anastasia on Twitter! I liked Anastasia on facebook and followed Anastasia on twiiter(loverlymegane)! Already following on Twitter! :) Added instagam & Fbook. Can I buy those temp dyes somewhere in Japan? I like your facebook page (Robyn Bellefleur)and follow you on twitter (@sharklady71)! You look great and I would love to have a new look.